In the producing progress, the quality of ceramic slurry is a main factor of products. 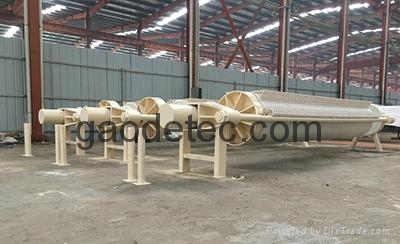 To get high quality ceramic slurry, we should choose a suitable filter press to deal with it. According to our experience, high pressure round filter press is the most suitable for this ceramic industry. It Is mainly used for some stone wastewater, ceramics, kaolin, construction material etc.. The cake moisture is very low. The filtration pressure can reach to 2.5 Mpa, which is higher than any other kind of filter press.